(1) Natural Radio (3:54) Before humankind figured out how to zap the air and send messages to each other using sparks, the radio-sphere was much quieter - interrupted only by the occasional lightning strike or the hum of the aurora borealis. 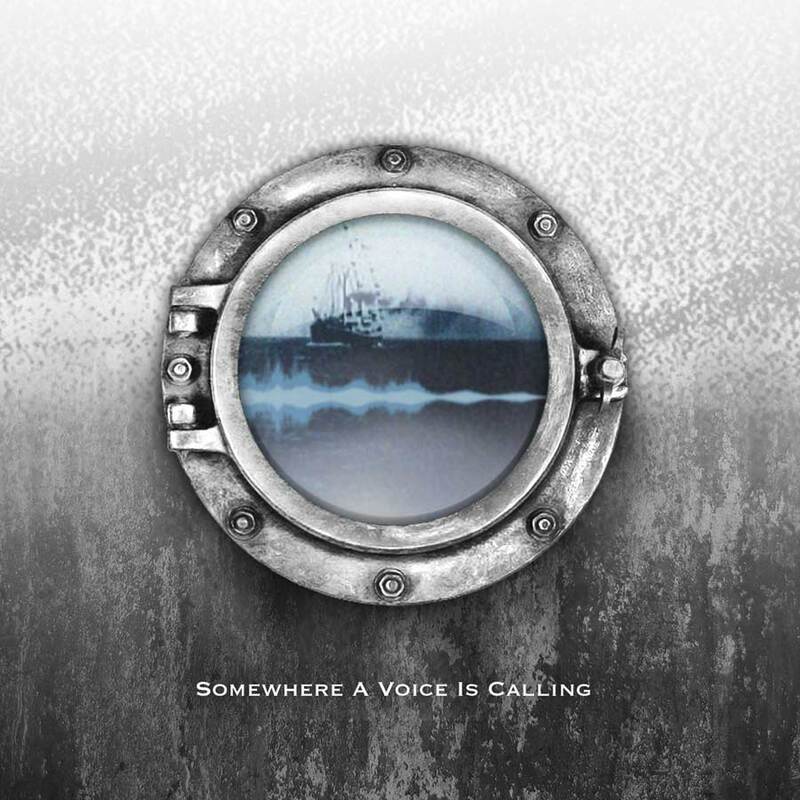 (2) Ship to Shore (6:31) Morse code was the voice of spark transmitters, a way for ships to tell when they were close to shore, a way to communicate about the patterns of weather, and the location of obstacles and other ships. (3) Sea Monster (5:56) Signals and ships travel over and under the sea by airwave and telegraph signal. Sailors dream of the deeps and the creatures that live within the dark waters. (4) Biomagnetism (6:49) Years from now (in the late 1920s), a Russian scientist will use this new found technology to make a musical instrument. It will play on the shores of New York City, a continuous wave interference machine, a link from the future to the past. (5) I'se the B'y (8:45) Out on the deep sea, even with an early radio transceiver, the ship is on its own with no means of communicating with the shore. The sailors become one with the ocean, as if sinking under it for a while, becoming part of its magic and danger, until the land is found again. (6) Hymn (6:40) On December 25, 1906 Fessenden broadcast this song on his new higher-fidelity transmitter. (7) Snow (4:50) A two-way communication from the east coast of the USA to the north of Scotland. 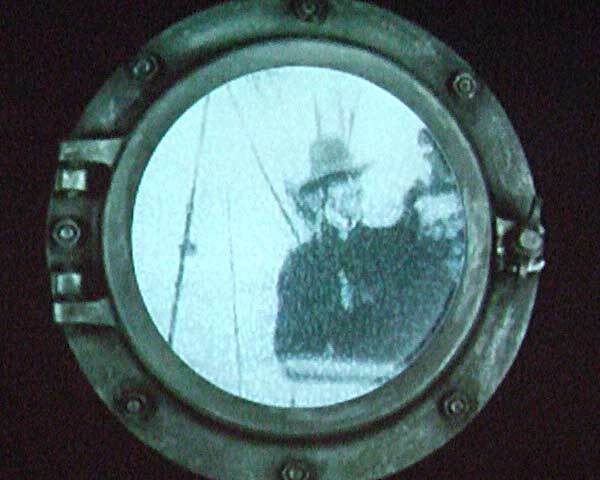 Fessenden and his associates achieve voice communication during the winter, over thousands of miles of ocean. (8) Magnetic Radio (7:02) The future - our world of electro-smog. Magnetic waves are everywhere and only the discerning brains of digital receivers can make sense of them. If we listen with old coils and early radio equipment we only hear the strange pitches and near-melodies made by interference patterns. On Christmas Day 1906, Reginald Aubrey Fessenden transmitted music and voice across the Atlantic in the first radio broadcast in history. Inspired by this event, radio artists Absolute Value of Noise and Anna Friz joined with animator/live video mixer Glenn Gear to create a performance that worked with the themes of "invisible" sounds, hidden voices, and the early days of radio communication on the Atlantic Ocean. Drawing from tales of ghost ships and myths that claimed the seafaring dead could be contacted via shortwave, this performance conjured an ethereal world of distant voices, sea, and static. Now this piece is available as an eight track audio release that takes the listener from the dawn of radio through a journey across the sea, and into the future of a radio-sphere that is over-populated by the activities of humans and their devices. Absolute Value of Noise (http://absolutevalueofnoise.ca) plays with ELF (extremely low frequency) receivers to convert radiation (from transmitters, cell-phones, wireless devices and electronic equipment) into audible sound. He uses large circular antennas to draw strange noises from the equipment of the other performers and the magneto-sphere of the performance space. Anna Friz (http://nicelittlestatic.com) employs Theremin, glockenspiel, electronics and sampled 78 rpm records alongside extremely low-watt transmissions of voice and breath. She considers the human desire for remote contact as manifest in these material signals, where bodily sounds captured through baby monitors, walkie talkies and cordless phones are rendered both fragile and monstrous by the compression of lo-fidelity technologies. In performance, Anna diffuses these sounds through a multi-channel speaker system, and through several small FM transmitters to twelve radio receivers suspended above the audience. Glenn Gear (http://vimeo.com/glenngear) creates live video montages exploring the ephemeral and "distressed" connections between trans-Atlantic crossings, the lore of the sea, broadcast signals and noise. Responding to the soundscapes created during the performance, he mixes video clips on-the-fly and builds dreamlike visuals that combine archival film footage, vintage animation, personal video recordings, television static, and photographs. • A generative stream for Art's Birthday January 16 - 20, 2013.